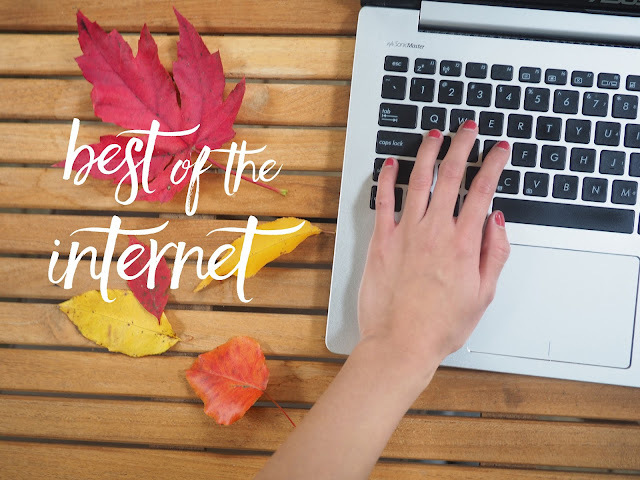 The internet has all kinds of things, ranging from instagrams of pumpkin spice lattes to celebrity gossip to cat memes. There are so many things out there on the worldwide web and there are definitely some really great things on the internet. I've compiled some great content that I discovered on the internet that deserves to not go unnoticed, most of which are articles or blog posts. I was inspired to make this post based on Cathleen's (Classy Cathleen) Fri-yay posts, Carly's (The College Prepster) On My Radar posts, and Mackenzie's (Design Darling) Weekend Reading posts. This article from The Atlantic gets it. Women always have such tiny pockets or even fake pockets, while our phones are getting bigger and bigger. The struggle is real. Bloggers out there, you get me. Taking pictures without looking awkward is harder than it looks. Who What Wear has a list of camera poses done by celebrities that you can mimic in order to look like a million bucks. Still look strange in your pictures? Who What Wear has another article on how to look more photogenic. Make your smile instagrammable, not just your brunch! Alisha reminds us that Taylor Swift isn't just an amazing artist, but also a powerful woman that we can all learn from. Although the media portrays her otherwise, she's more than just boyfriends and breakups, she has been expanding her brand (her music) flawlessly and we can all learn from that. Being a young blogger as well, I feel like Cathleen really gets it. I too, went through a lot of the same experiences, feeling scared to put myself out there, networking with other bloggers, and balancing schoolwork and my blog. I'll just be blunt, being a blogger is not as easy as the professionals make it seem, especially when you're still in high school. In a way, this kind of ties in with Cathleen's post, because this article talks about the experiences of fashion bloggers. It captures the reality that blogging isn't easy. It's time consuming and difficult, but bloggers put on a smile and make it look like a breeze. Thanks for writing such a great post! I was absolutely obsessed with it!